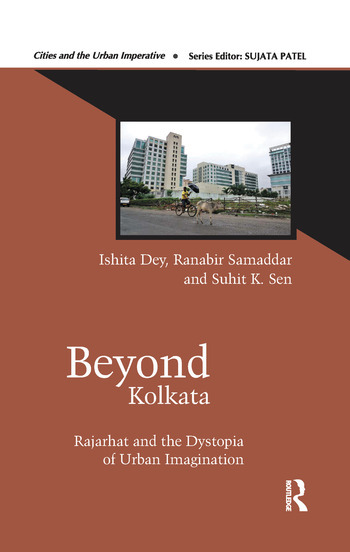 This book examines the politics behind, and the socio-economic and ecological repercussions of, the making of a new township, variously called New Town, Megacity or Jyoti Basu Nagar, in Rajarhat near Kolkata. Conceived by the West Bengal state government in the mid-1990s, in pandering to the vision of urban planners of creating a hi-tech town beyond an unruly, crowded Kolkata, and feeding the hunger of realtors and developers, the city is built on the foundations of coercive, even violent, land acquisition, state largesse and corruption — and at the cost of erasing a self-sufficient subsistence economy and despoiling a fragile environment. Yet, after its completion and departure of construction labour, the new town appears as a necropolis, a ghost city, that belies its promised image of an urban utopia, even as the displaced locals lead a precarious, mobile existence as ‘transit labour’, engaged in odd and informal jobs. Written on the basis of intensive fieldwork, government documents, court records, and chronicles of public protests, this book broadly analyses the politics and economics of urbanisation in the age of post-colonial capitalism, particularly the paradoxical combination of neoliberal and primitive modes of capital accumulation upon which the global emergence of ‘new towns’ is based. Departing from the dominant styles of urban studies that focus on cultural or spatial analysis of cities, the authors show the links between changes in space, technology, political economy, class composition, and forms of urban politics which give concrete shape to a city. It will immensely interest those in sociology, political science, economics, development studies, urban studies, policy and governance studies, and history. Ishita Dey is a member of the Calcutta Research Group, Kolkata, and doctoral scholar, Delhi School of Economics, New Delhi, India. Ranabir Samaddar is Director, Calcutta Research Group, Kolkata, India. Suhit K. Sen is Senior Researcher, Calcutta Research Group, Kolkata, India.